A new construction phase is underway at the Truckee Bike Park, located at the west end of River View Sports Complex. To complete the construction, the volunteer building crew is holding a fundraiser at Bar of America on May 8, 2014 @ 6pm. Truckee Bike Park jump track. The cost is $20 for the dinner buffet, live band (Grove Foundry), and raffle items. The Truckee Bike Park currently has a pump track and a jump track. The new construction project will add flow trails, dual slalom course, cross-country loop, and a drop zone. Construction is expected to be completed by the first week in June. 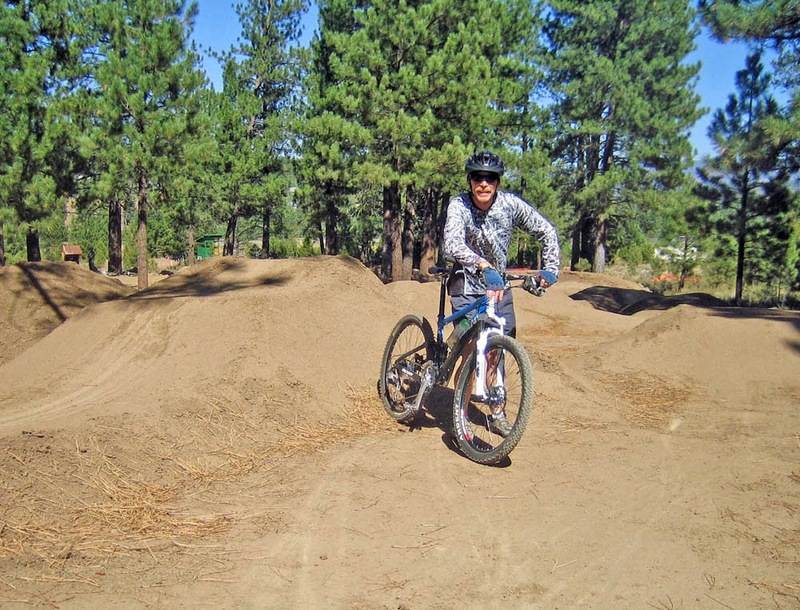 The Truckee Bike Park has courses and features for everyone. Any mountain bike will work, but specialized bikes add to the fun. The park is often unused in the early morning hours. On weekends the park is busy with riders of all ages and often with their family.